I used to not like short stories too much, basically because when I enter a book, I want to enter one world and stay there for a while. 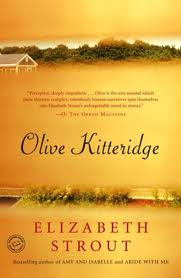 But then I discovered a very likable genre--connected short stories. Three examples above, all really fabulous. 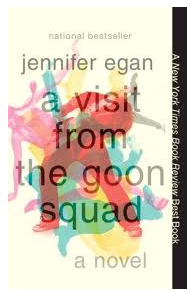 I just finished A Visit from the Goon Squad, by Jennifer Egan, which is just as terrific and exhilarating as the reviews say. It pains me to read the complaints at Amazon from people who hate the "powerpoint" chapter. The powerpoint chapter is terrific. The whole thing is terrific. I should clarify: each chapter works as a short story, but the whole thing is actually a novel. The structure of the thing is much fun to contemplate. It's a sort of puzzle, solved in a very satisfying way at the end. The goon squad of Egan's title is time, and time is the subject of the novel, in various ways. It beats people up pretty badly, but does other things too, good and bad. Which reminds me of a post about the passage of time I wrote when my kids were at the end of elementary school. I need that message again, because now they're at the end of junior high. Written on a bench in their elementary school's office: "The secret to life is enjoying the passage of time." Cool, thanks for the suggestion. I've always meant to read Italo Calvino. One book like this I remember fondly is Sherman Alexie's The Lone Ranger and Tonto Fistfight in Heaven. And, of course, there's Joyce's Dubliners. How do you find time to read so many books? When we were children, my sister would get up in the morning with a book, read all day, through breakfast, lunch and dinner, until she fell asleep. I've never seen anyone read so much. Now she's a librarian, but she barely gets in half an hour of reading before she sleeps, given work, domestic responsibilities, community activities, family and friends. On the other hand, I used to read more. I actually spend more time reading blogs than I should, so I give myself not such high marks reading-wise. I don't watch TV either nor does my sister, but things to do pile up, like making dinner. I too spend much much too time online. Before I got internet, say, about 15 years ago, I recall lying on the sofa reading Spinoza's Ethics all afternoon. I think that I should force myself to read something serious, difficult and not immediately appealing for at least a half an hour everyday. I will try Schopenhauer, the World as Will and Representation. I have it here, in an abridged edition, but it still is not Time Magazine. Why Schopenhauer? There is series of old interviews online with and about philosophers and the one about Schopenhauer, with Father Copleston, interested me. I'll find the link to the interviews and send it to you. There are some big names: Williams, Nussbaum, Copleston, Quine, Searle, Marcuse, etc. 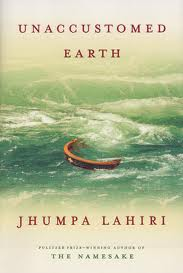 I'm reading a charming book, one that's something between a novel and a series of connected vignettes contemplating life, with frequent references to philosophy. It's The Elegance of the Hedgehog, by Muriel Barbery. It alternates between the point of view of a concierge in Paris and that of a precocious twelve-year-old girl who lives in the same building.